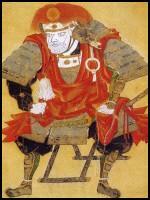 Even Samurai Warriors lived by a code of ethics called the Code of Bushido - "the way of the warrior". "Be as still as wood. Attack like the wind. Be as thorough as fire. Once we concur, be unmovable as a mountain." "Traditionally, the study of Jujitsu consist of both the practice of skills and the adherence to ethics. The skills learned from Jujitsu practice hone our physical bodies; sharpen our reflexes and strengthen our resolve and they should be counterbalanced by good conduct. The philosophy of Jujitsu is the achieving of harmonious values by individuals who live by peace, wisdom, morals, love and self discipline through intellectual means. The primary goal of learning Jujitsu is to become a better understanding person who lives with a greater expectation of a sincere life. Good quality of life also requires having a healthy life both mentally and physically. The art of Jujitsu cannot exist without the mental aspect; which is the foundation that physical improvements are built upon. Jujitsu is much more than just a workout. It is an alteration, both physically and mentally, of ones lifestyle that will last a lifetime. It seems to be an issue of bridging the actions with the thoughts, or integrating fighting with philosophy. Any worthwhile accomplishment requires a certain amount of dedication, effort and discipline. This is no less evident in Jujitsu training. Every aspect of Jujitsu requires the harmonization of the mind and body. This harmonization is achieved through mental focus and concentration combined with proper respiration and accurate physical techniques. The aim of Jujitsu training is the welfare of the practitioner. Not only should self-defense skills be attained, but more importantly the focus should be on the individuals character development. A well-rounded personality can be realized only if the spirit is right. Therefore the main goal in Jujitsu practice is to cultivate a person's mind and body: not to use it as a means to vent ones anger, frustration or emotional problems. As serious Jujitsu practitioners, we should accept a philosophy of non-violence - a physical confrontation should be avoided whenever possible. The use of force is condoned only in self-defense or in the defense of those who are defenseless. It does not condone meaningless rivalry, foolish stunts, intimidation of others, violent behavior, criminal activities, self-preening vanity, and any vices or addictions. The Jujitsu practitioner displays this courage in the use of his skills to satisfy the demands of ethics, and in defense of his country or fellow human beings against unjust violence, to the point of supreme self-sacrifice, if necessary. The Jujitsu practitioner should use his knowledge only to protect himself and others from harm, and then only to the extent to protect and remove himself from the situation. If it is necessary to use Jujitsu against an adversary, the practitioner should still use self-restraint and good judgment. A properly trained Jujitsu practitioner will do everything possible to avoid a physical confrontation, not only because he knows that such a confrontation is unnecessary, but also because he knows that he has a better than average chance of successfully defending himself and because a physical confrontation is philosophically degrading, as it indicates that all other means of avoidance have failed. The Jujitsu practitioner should also adopt an attitude of self-control; he must bend like the willow. All of these will help him become a better person and, at the same time, help him avoid unnecessary confrontations. It is the inner peace and confidence that the practitioner develops that makes this possible. Patience is the key. Discipline is the exercising of self-control. In Jujitsu, this concept encompasses the emotions, actions, and mental activities of its practitioners. It is one of the cornerstones from which mastery is attained. The ability to defend oneself greatly improves self-confidence. Self-confidence combined with better judgment, integrity and overall improvement in lifestyle brings a positive attitude. The mental aspect of Jujitsu is not quickly seen when compared to the almost immediate physical improvements. Improvement of physical ability gained from training will be immediately visible to the practitioner himself, while improvement of the mental aspect will be recognized by those around him. Physical activities used to enhance mental conditioning are helpful in developing a positive self image. The physical aspect of training is a direct mirror of how much energy the individual is putting into his internal growth. The harder he trains his body, the more he grows spiritually. Every practitioner of Jujitsu should realize that honesty is the foundation of all virtues. Kindness is the secret of business prosperity. Amiability is the essence of success. Working pleasantly is the mother of health. Strenuous effort and diligence conquer adverse circumstances. Simplicity, fortitude, and manliness are the keys to joy and gladness; and service to humanity is the fountain of mutual existence and common prosperity. Courtesy, respect, modesty, loyalty, generosity, and dedication are not only the source, but the reward of the training. Unlike many other styles of martial arts, Jujitsu continually strives to live up to the seven principles of the Code of Bushido "the way of the warrior." The Code of Bushido teaches humility, truthfulness, bravery, benevolence, compassion, sincerity, loyalty and devotion to our families, friends, and country as well as every aspect of our lives. As Jujitsu practitioners, we believe that the Code of Bushido serves as our constant reminder to perfect our character. Looking at it from today's perspective, ethics in Jujitsu manifests itself mainly in the following ways. The first is humility. Being humble is not easy for a martial artist. This is especially true for those who have some small accomplishments already. It is easy to look down on others who are less skilled and become unduly vain and arrogant. It is also easy to become short-sighted and narrow-minded, often praising oneself and putting others down. The result is unnecessary prejudices that often exist between different styles of martial arts. The fact is, all styles have their own merit and all have individuals who have attained high levels of accomplishments. Determining which style is better than another is neither possible nor necessary. The study of martial arts itself is an unending journey. All who have great accomplishments also display great humility. This is because, without humility, no one is capable of learning. The more humble a person is, the more willing he is to learn. This is the prerequisite to the attainment of knowledge. "As an empty cup can be readily filled, an open mind is sure to learn." The second aspect is courage. The willingness to stand up for truth and justice is a traditional virtue in martial arts. The courage spoken of here is a higher kind of courage. It is the courage of self-sacrifice, or standing up for the truth, regardless of what the odds are or what the cost may be. It is not petty bravery of proving one's self-worth by engaging in meaningless rivalry, foolish stunts or the intimidation of others. The courage in this sense is an important test of a person's true worth. In times of danger or crisis, a martial artist must stand up and be counted. The willingness to sacrifice is the hallmark of a true martial artist. No human endeavor can ever be possible without some sacrifice. The third aspect is integrity. A true martial artist must have a high moral character, be open, forthright and honest. He should never be intimidated by power, corrupted by money, nor weakened by desire. A person must never be vain, but he can never be without pride. The true martial artist must have enough pride not to be used and corrupted by others, or lower oneself to grovel at the feet of the rich and powerful. He will never permit himself to be used by evil. The independence and integrity of personal character must be defended at all cost so that we may stand tall under any circumstances. In doing so, one will always have a clear conscience and righteous strength. This is the physical manifestation of the Jujitsu spirit through merging principles of the way and the art. Last but not least, is respect. Respect and sensitivity toward others has a strong effect on personal relationships, both at work or at school, and with friends and family. Along with the mental connection and respect for others, comes an awareness of others and their needs. Respect for others who are senior and from whom we learn is essential for learning. Without this basic element, the teacher cannot teach and the learner cannot learn. Practitioners should not only show etiquette for the seniority system and honor senior members but show respect for oneself, other practitioners and all human beings. We should always honor our families, and give without the expectation of receiving. Striving for family honor is a lifetime responsibility. As a member of a family, one's first duty is to be filial to parents, to be helpful and harmonious with our consort, and to be affectionate to brothers and sisters, in order that the family may be a sound, successful and harmonious unit of the community. As a member of a nation one must be grateful for the protection which one derives as a citizen; one must guard against self-interest and foster a spirit of social service. This principle can be further expanded to include respect for other human beings, respect for society, institutions, other nations, cultures and all aspects of life and nature. Only when there are sufficient numbers of people who share this respect can we hope to change our world of violence and chaos into a world of peace and order. As Jujitsu practitioners we should also use ethics as a frame of reference for our daily behavior and activities. We are responsible to demonstrate the 'codes' in and out of the training area. This example shows that we do not consider our art separately from our everyday life, that it is part of everything. This demonstrates the strength of our art and makes us good practitioners and teachers. One should be discrete in action, yet hold courage in high regard, and strive to cultivate manliness. One should be gentle, modest, polite, and resourceful to eccentric; but striving always to practice moderation in all things. One should also realize that these qualities constitute the secret of the practice of Jujitsu. Like a drawing in ink of the whispering of the wind in the pines, the secrets of Jujitsu can only be suggested. Only through personal experience can one comprehend the mystic ecstasy of such secrets. And only by cultivating a receptive state of mind, without preconceived ideas or thoughts can one master the secret art of reacting spontaneously and naturally without hesitation and without purposeless resistance."